The Democratic National Committee, led by its chairman, Tom Perez, said on Tuesday it has discovered a cyberattack-in-progress against its voter database. The DNC asked the companies involved to suspend the attacker's account and shut down the fake page. The party says it does not know who was responsible for the attempt but that it is satisfied no attacker accessed its database. "This attempt is further proof that there are constant threats as we head into midterm elections and we must remain vigilant in order to prevent future attacks," said a statement from the DNC's chief security officer, Bob Lord. 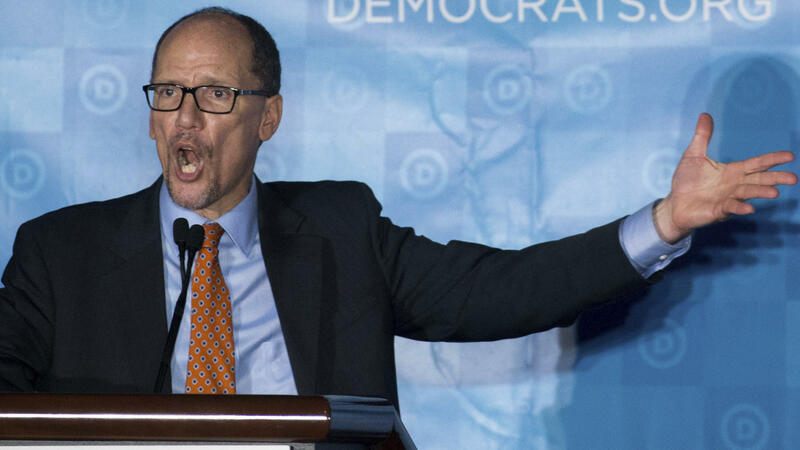 He continued: "While it's clear that the actors were going after the party's most sensitive information — the voter file — the DNC was able to prevent a hack by working with the cyber ecosystem to identify it and take steps to stop it." Democrats sought to make clear how different the response this week was from the now-infamous cyberattack by Russian intelligence operatives discovered in 2016. In that case, people in the FBI and DNC barely maintained only desultory contact for months about what turned out to be a historic compromise, one that cost DNC Chairwoman Debbie Wasserman-Schultz her job once the Russian operatives began to release the information they had stolen. Justice Department special counsel Robert Mueller has charged a dozen officers with Russia's military intelligence agency, the GRU, in that and other cyberattacks that formed part of the Russian attack on the 2016 election. So far no connection has been made between Russian hackers and the attempted attack on the DNC announced on Wednesday. Intelligence and homeland security officials, however, have warned that Russia's so-called "active measures" never stopped after 2016 and are expected to remain a constant feature of political life in the West. All the same, tech-watchers say the volume isn't turned up as high as it could be. "We have not seen any significant activity yet from Russia against the midterm elections, in terms of actually launching disinformation campaigns," said Dmitri Alperovitch, co-founder and chief technology officer of the cybersecurity firm Crowdstrike. That doesn't mean there aren't any online influence operations — Facebook and Twitter, for example, this week shut down hundreds of accounts they say were associated with foreign government activity. Clint Watts, a senior fellow at the Center For Cyber and Homeland Security at George Washington University, said that in the case of Russia, only a strong U.S. government response might quell the cyberattacks. "Russia will not stop attacking activity," he told NPR. "It's been very successful for them, it's very cost-effective. And there's been no response mounted. The United States has not put forward a strong cyberdefense, they've not pushed back in a very strong way strategically."